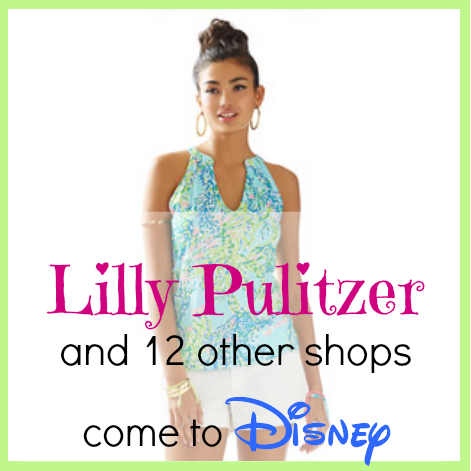 Fairytales and Fitness: Lilly Pulitzer comes to Disney and 12 more new retailers! Zara and Uniqlo both have cute Disney apparel. Check out their websites! I haven't heard of any of these shops - I don't think we have any in the UK. The shops in the states are so much better. Oh how fun! Vivoli Gelateria would be awesome to try out! There's a Uniqlo in my local mall. The place had a line down the mall when it opened. They have cute t-shirts and cotton button downs. They're inexpensive, but not the best quality ever. We also have a Sprinkles. I used to go over there a lot, but now I have a cupcake place closer to home. How fun! You cannot go wrong with cupcakes and gelato. It's like it's own little city! Sprinkles is a cupcake shop that was founded in LA and has spread nationally-they are the ones with the cupcake ATM so I wonder if this location will have-that would be fun! Blaze pizza is another pizza chain that is make your own (think subway or chipotle for pizza) that has exploded with locations in LA recently. i think it's a bit odd a lot of the things they are building are all based in LA-those 3 plus STK, and others. No I have not, but I am looking forward to checking them out!